As a homeschooler, you need be aware of a very exciting event coming in just a few weeks. 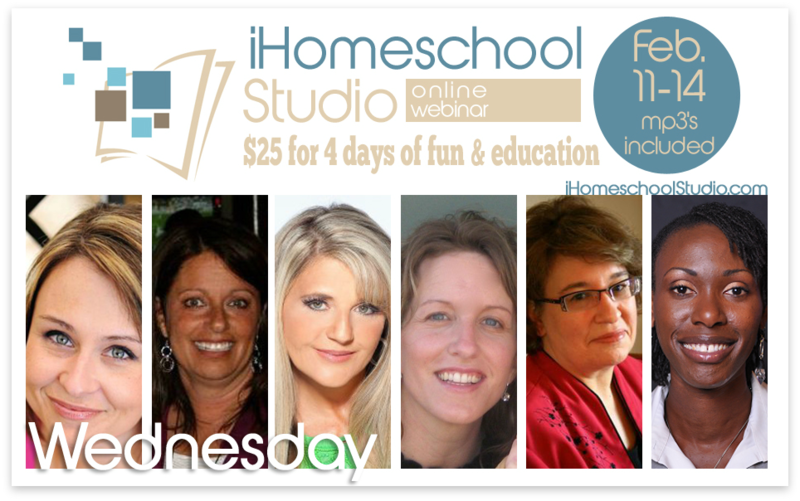 iHomeschool Studio is a 4 day online event where homeschool parents receive the continuing education and encouragement they need to persevere in the homeschool journey with excellence and resolve. I'm so pleased to be offering a seminar entitled, "Teaching Music in Your Homeschool - Made Easy!" You can see all of the wonderful presentation listed here. What a great line-up of speakers! 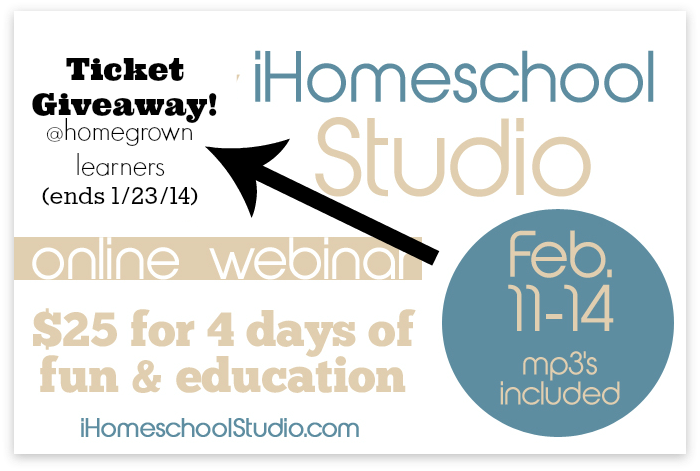 You can win 1 ticket (valued at $25) to the iHomeschool Studio. This is a quick giveaway, so it will only be up until January 23rd at midnight! Please follow the Rafflecopter widget instructions below to enter. *Please note: The winner will only have 24 HOURS to respond to this giveaway. Please leave a valid email address that you check daily!